Hooray! I exceeded my seven-books-per-month streak! It's been quite a varied month for books for me, I think. I finally finished the Divergent series, popped in a couple of non-fiction reads, but my graphic novel ratio is still awful. 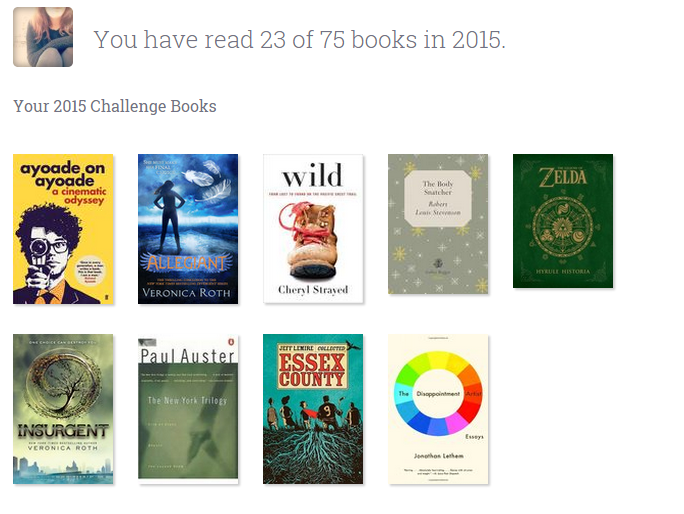 I don't know at what point I went from reading only graphic novels to reading one a month, but it needs to change. I haven't written any reviews for these books (yet?) as my life has been pretty damn hectic this past month, but hopefully once deadlines are done and done I can get back on the blogging game. Check me out on Goodreads to see my ratings and some short comments on a few of them.